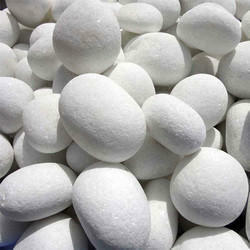 Our product range includes a wide range of pebbles marble stone and white marble stones. Available Size 1'', 2'', 3'', 4'', 5'', 6'' etc. Pebbles Marble Stone are used as decorative landscaping stones and come in various hues and sizes and find usage in homes, artificial ponds, fountains, posh lounges, open-air theaters, aquaria, parks, outhouses, and gardens. Polished pebbles are used at a large scale for various interior designing purposes due to their fireproof nature and low maintenance cost. The White Marble Stones works as substitutes for those who are not able to afford precious stones. These White Marble Stones are used in luxury villas as well as high-end architectural projects as vanity tops, floor tiles, table tops, counter tops and decorative wall panels. 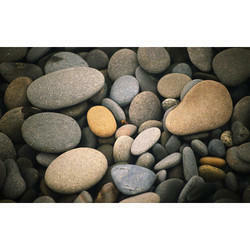 Looking for Pebble Stones ?